The Steigenberger Nile Palace Hotel enjoys a great loation direct on the shores of the ancient and majestic Nile, in the heart of the Egyptian city of Luxor, with all the major tourist attractions close at hand; not to mention great shopping, cafes, coffee houses, restaurants and lively bars. Offering a wealth of amenities, facilites and 1st class services in a warm relaxed and friendly atmosphere guests are literally spoilt for choice at each turn. 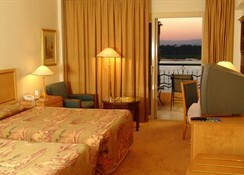 The Steigneberger is ideally placed to make the most of your next trip to Luxor whether it's for business or pleasure. 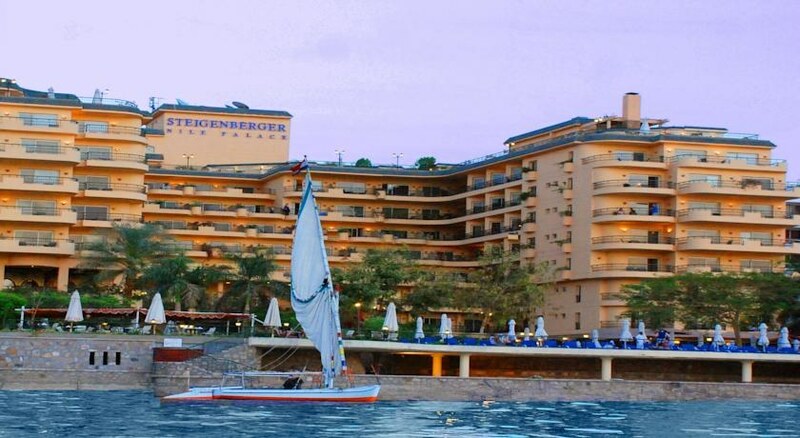 Make sure you treat yourself and book yourself a great deal on the Nile by reserving your next stay at the Steigenberger Nile Palace Hotel where you can expect great value for money and a welcome fit for a Pharaoh. Local tips: spend a day with a difference and experience a world class golf course only 8km away – tee off times bookable with the reception staff – an ideal way to distress and take in some fantastic Luxor views too. Food, drinks and entertainment: diners can chose from 6 restaurants including Nubian, Lebanese and Italian. Lighter meals and snacks are available from the Nile bar/lounge, the Café des Delices and the Tropicana café/bar poolside. During the summer season a poolside barbeque is a regular feature specialising in oven warm bread. 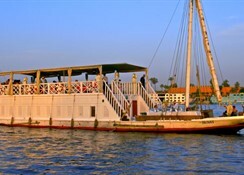 Guests can also book sunset tea at the Nile Lounge or a dinner cruise on the Nile onboard the floating restaurant – the Dahabia. 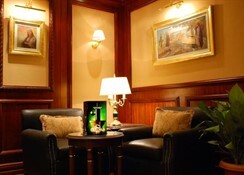 Drinks are available from the Nile lounge/bar, the Café des Delices, the Tropicana, the Saloon bar. An evening entertainment can be easily found in Luxor to suit a variety of tastes and budgets. Sports, games and activities: heated outdoor swimming pool, spacious sun terrace with ample sun loungers and parasols, jetty to Nile, fully equipped Health club offering fabulous fitness room, rooftop tennis court, full service Spa facility offering a variety beauty/therapeutic treatments, massage, sauna, steam bath and hammam. Further sporting amenities/activities are available for rental/hire nearby including golf and sailing. 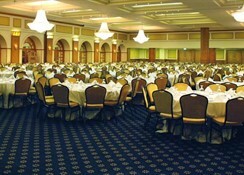 Additional: 24 hour reception, currency exchange, tour desk, car hire, parking, 24 hour room service, internet access, limo service, ATM/banking service, hairdresser, medical clinic, on site shops, bellboy service, laundry/dry cleaning service, balloon ride booking service, business centre featuring 11 conference/meeting/banqueting rooms with person capacity of up to 2000, ballroom with largest capacity in Luxor of 1400 persons, housekeeping, maid service, wake up call service, safety deposit box (reception). The Steigenberger Nile Palace Hotel features well appointed stylish spacious comfortable guest rooms fully equipped with full bathroom, hairdryer, individual adjustable air conditioning, direct dial international telephone, voicemail and wake up function, satellite/cable tv, internet access, in room safe, mini bar, seating area, desk/dressing table. 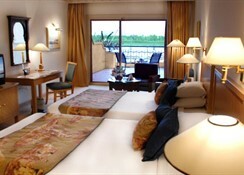 Most standard rooms enjoy a furnished balcony offering views of the surrounding area. Family rooms are available on request. Junior suites enjoy the same facilities as a standard room with the addition of a king sized bad, two full bathrooms, separate lounge, 2 satellite/cable tvs, digital in room safe and Nile view. The Diplomatic suite and the Presidential suite enjoy large private terraces offering magnificent views of the Nile and mountains.